Metadata is hot, the information technology buzzword du jour. Everywhere where we turn, industry periodicals proclaim metadata as “the ultimate solution” for an IT staff looking to infuse a wealth of sanity into its organization. With so much to gain from the implementation of a metadata management platform, many companies are beginning to explore this area further. This eBook is the perfect place to start your research. 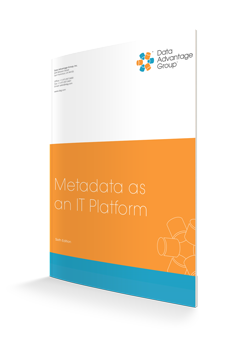 Download the Metadata As An IT Platform eBook.